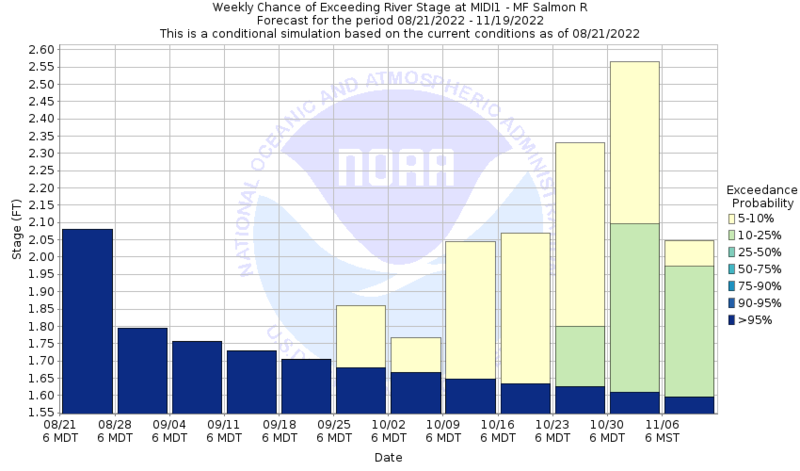 The following charts help with guidance about what future river flows on the Middle Fork of the Salmon River might be. River flows are unpredictable so a decision to go needs to be combined with good judgement. Click the graphs below to visit the information source.